Els van de Weg – owner of DUTCHELS – has been working in the travel industry for almost 20 years, most of the time as a travel agent. She has now changed focus and is targeting her skills and services towards holiday accommodations as well as tourist and cultural organisations. If you desire to attract more foreign visitors, your message should always come across clearly. Therefore, have your web-site or brochure translated into the language of your target group! 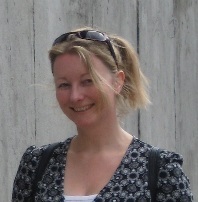 Els is familiar with the terminology of the travel industry and is specialised in Dutch and English. Through cooperation with other translators, other language combinations are possible also. Els is innovative in approaching new target groups, offers support in maintaining social media accounts and is creative in designing and launching direct marketing projects. In short, Els does away with language barriers, gets you connected to the Dutch market and puts you on the map!